Search engine optimisation (SEO) is the work that’s required on your website to get it to rank high the search results. This article is going to tell you a little about how to SEO your website. Lets start with the basics… Most of us know Google. 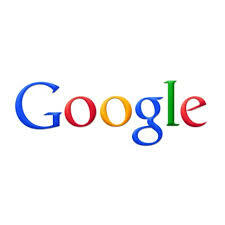 Google is the largest search engine for searching the web for information. We often talk about ‘googling’ for the answer to a question. We’ll ‘Google it’! When I talk about ranking on the search engine – I mean specifically having your website appear on the first pages of Google. and lets be honest – if you’re not appearing on page 1, you can forget about it. No-one will go to page 2 to see if there are better results there. Everyone expects that the most relevant, and best search results will appear on page 1. That is exactly what Google tries to ensure. they want to serve up the most relevant and authoritative search results to their customer – the searcher. So now you understand what the search engine is and you know what is meant be ranking. What next? The next step is to understand what search terms are being used to search for the services or products that you offer. In other words – what words or phrases are your potential customers entering into google when they are looking for the services that you provide? This is important. You’ll need to do some research for this. The research can be tedious and time consuming – but there are a few ways to make it easier for yourself. 1. Look at your competitors first. the ones who are getting more business from the internet than you. In other words – the competition who are appearing higher up in the search results that your business. You can use some keyword tools to reverse engineer their website to see what words and terms that the are ranking for. These tools require a paid subscription of $100 or more per month, and they have a bit of a learning curve – so probably not something that the business owner will for themselves. If they rank high in the search results – they have someone who knows how to SEO your website. 2. Use Google Adwords to get suggestions for key words and phrases. You can use the keyword planner tool in adwords to have it suggest a list of potential words and phrases. This was once very accurate, but recently, it’s become less valuable – probably because it’s not in Google’s best interest to make this information freely available. 3. You could ask past customers what words or phrases that they have used to find your website on the web. This is a useful exercise to do, as there’s often a difference between what you think that people search for, and what they actually search for. You’ll want to note this information down as a reference. Making use of this new found information. How do you go about it? Here’s how to SEO your website. You’re going to write content. Lots of it. Content is king in SEO. And links are Queen. You’ll need lots of articles or blog posts on your site that are written to include your key words and phrases. Google will read your content and will recognise the placement of your key words and phrases – but only if you’v create the content with them in mind. This may not be what you wanted to hear – but that’s how to SEO your website to have it found. Of course there are lots of other things to do also – but creating relevant content is always the starting point.